There's a pretty strict level of decorum you're supposed to maintain on a commercial flight. For example, you're not allowed to smear feces on any of the cabin walls. Wearing an obnoxious amount of clothing to avoid checking a bag will not endear you to the flight staff, either. The same goes for running through a plane completely naked. 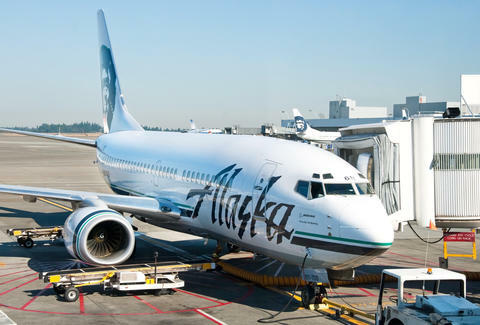 An Alaska Airlines passenger was reportedly detained after doing exactly that on Monday. The New York Daily News reports that a man onboard Alaskan Airlines flight 107 from Seattle to Anchorage ran around the plane's aisles for 20 minutes sans clothing. He was eventually tackled and locked in a bathroom by two passengers who'd seen enough of him. The naked man was reportedly apprehended by authorities and taken to a nearby hospital. Ellis later said he believed one of the men who tackled the naked passenger was the man's father. I waited 4 wheelchair & was next 2 last off plane. Police boarded to take naked guy away. We thought drugs not booze. May have been psychotic break since some said guy who chased & tackled was actually his father. Flt attendants were debriefing. Cpt extra nice 2 passengers. Though an airline spokesperson said the plane landed safely in Anchorage without incident, another harrowing incident onboard a passenger plane does not bode well for the public's fear of naked strangers. Especially when bad things occur on planes seemingly without fail, nearly every week.